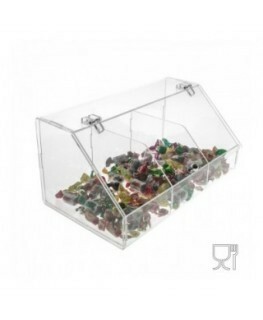 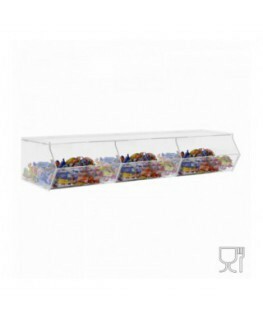 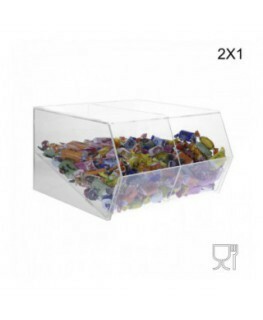 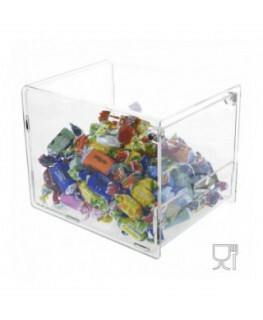 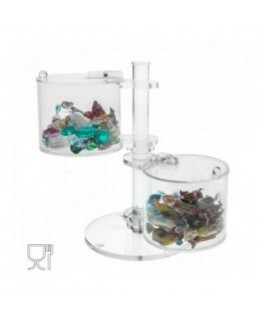 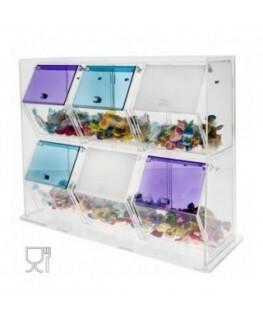 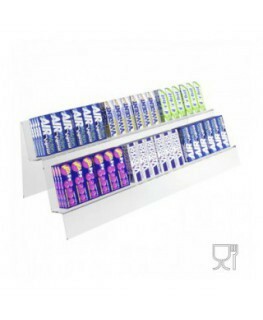 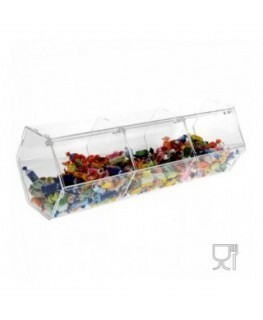 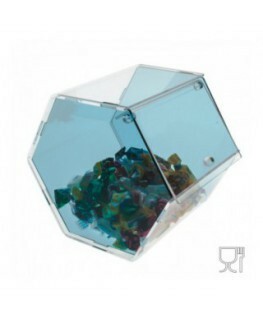 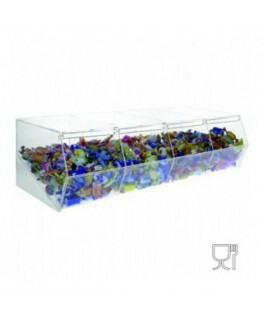 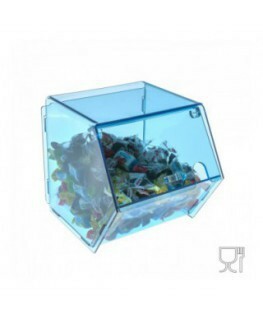 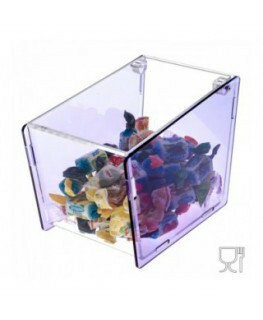 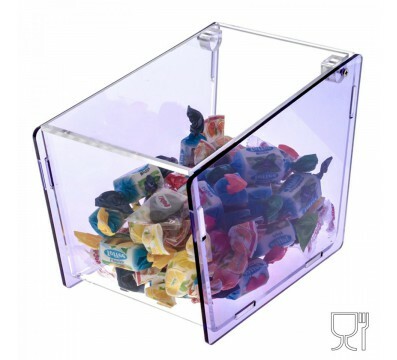 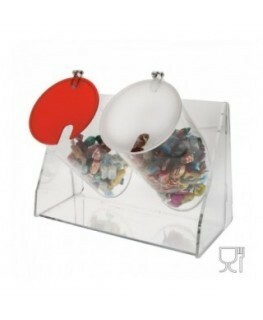 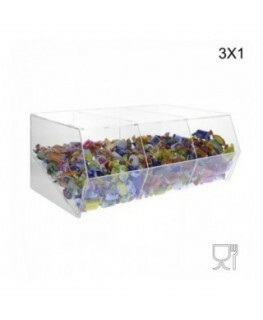 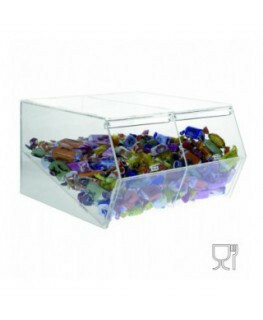 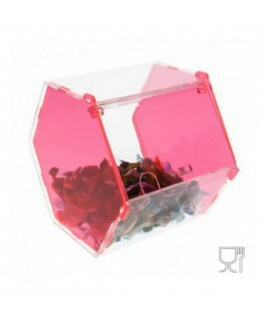 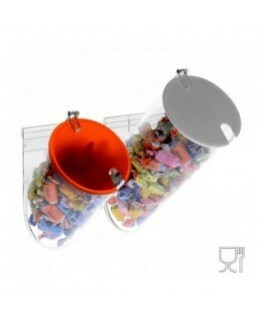 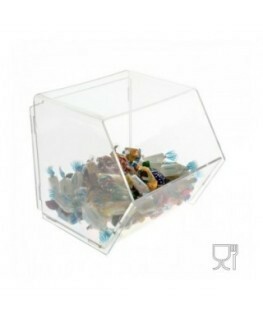 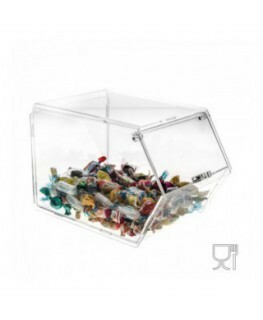 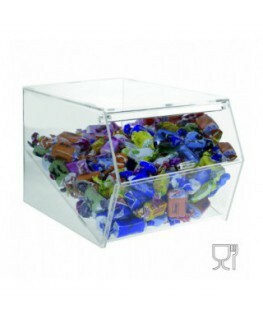 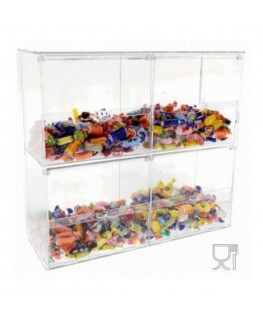 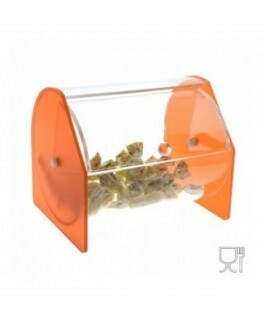 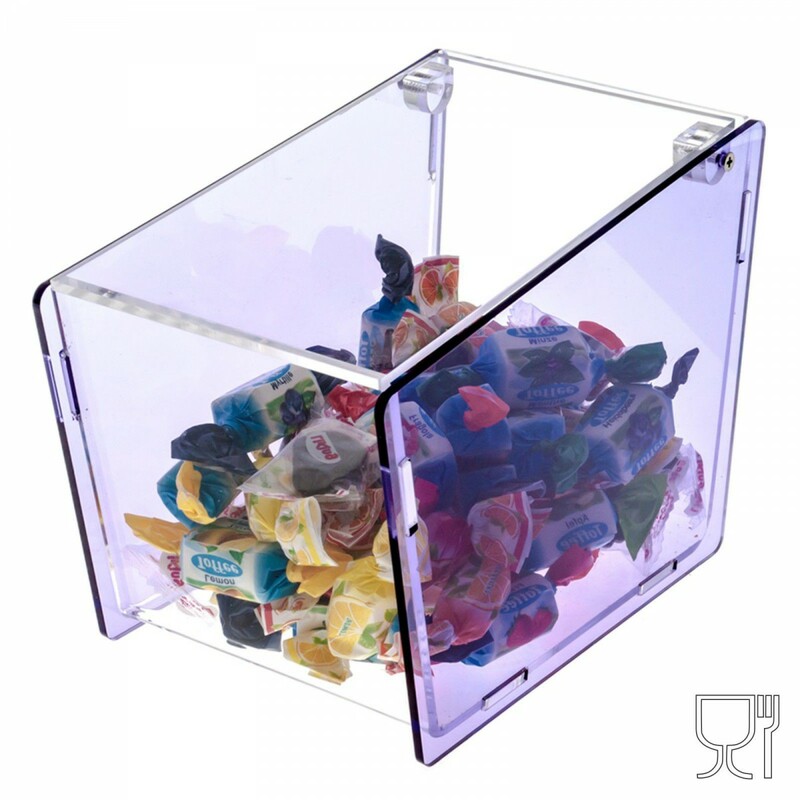 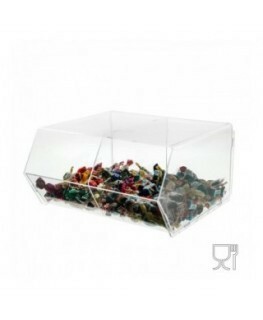 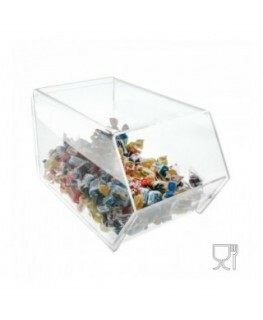 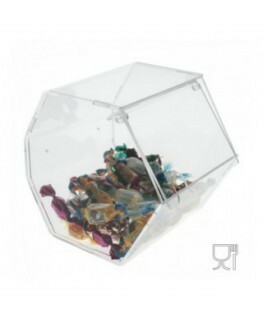 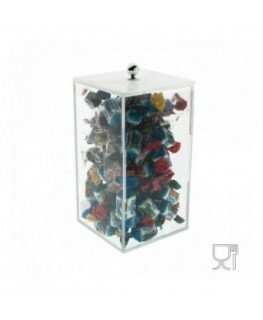 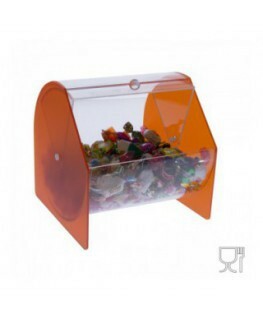 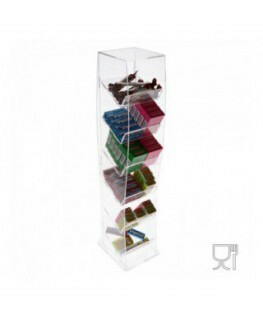 This little acrylic candy display with door (clear and coloured) is suitable for food. 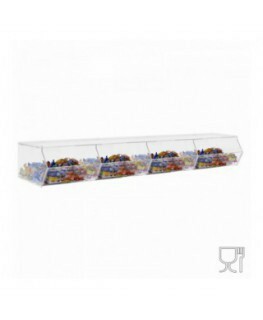 The display is equipped with a small top flap that protects food from external agents and ensures data integrity. 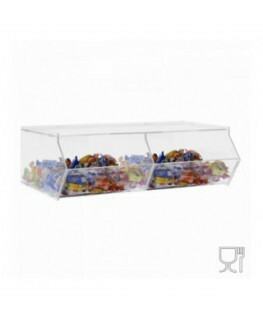 It is ideal for ice cream parlours, cafés, cinemas, etc.